You can view #StageOppsFeb15 online by clicking on the links below. If you apply by February 28, 2015, feedback from the committee will be offered to readers of the #StageOpps newsletter only. 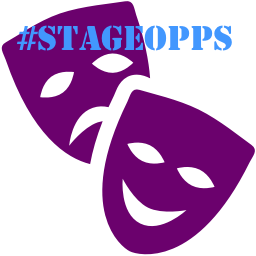 Please email specialoppscode@gmail.com to retrieve this month's #StageOpps code! The launch date for the Women in the Arts & Media Coalition's 2015 Collaboration Award recognizing Women Working with Women is February 1, 2015. The award is designed to encourage women in the arts and media from different specializations to work collaboratively on the creation of a new artistic work. The aim of the award is to encourage women to work collaboratively with women of other disciplines. Teams of two or more women from two or more Coalition member organizations working together on a creative project may apply for the 2015 Collaboration Award on The Coalition website at www.womenartsmediacoalition.org. Deadline for Special Opp submissions is February 28 at 11:59 pm. Final deadline for all submissions is 11:59pm Thursday April 30th.